"I wanted to buy a candle holder, but the store didn't have one. So I got a cake." When I went to IKEA last Friday, with my aunt and sister, I was determined to spend as little as possible. I only had one thing in mind that I needed to get and I had promised myself that was it. As you may have noticed, if you frequent my blog very often, I've been spending a lot lately. Just treating myself all the time. It's a habit I had hoped to kick this year but you know what they say. Old habits die hard. 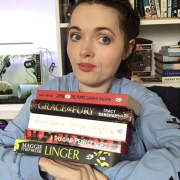 So although I hadn't planned to buy enough to make a haul post, here I am nonetheless. So on with the haul! You guys may remember my sister and I are planning to open an Etsy store where we'll sell various handmade items, one of which will be candles. We had hoped to be further along with it and selling by now but we've hit a couple of snags. However, it is still in the pipeline and we decided while we were in IKEA to pick up some things to make candles in. I think IKEA is where we'll buy the bulk of what we'll use as they have lovely affordable jars and glasses. I think it was £1.50 for a set of four of the small jars seen above and £1 each for the bigger jars. 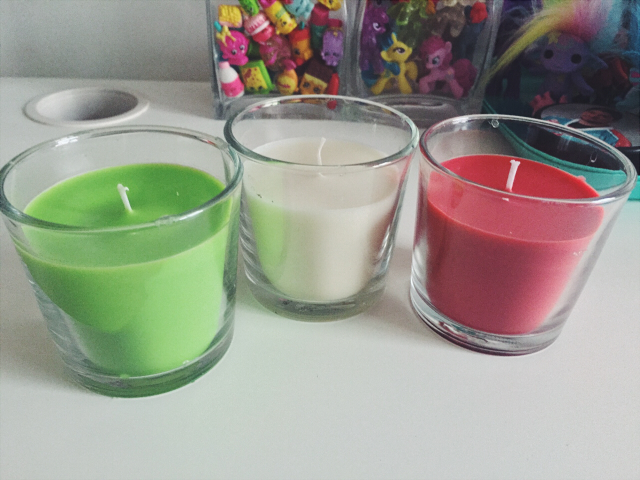 Looking forward to making some test candles in them! 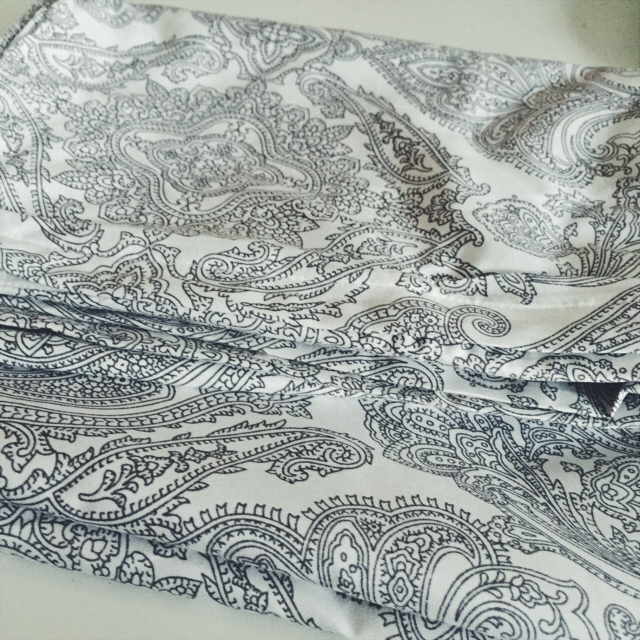 Secondly I bought this new duvet and pillow cover set. This is just one of the pillow covers to give you an idea of the colours and pattern. It was £10 for a single bed set. IKEA's bet sets are my favourite. I always find them really soft and comfortable right from the beginning. You don't really need to break them in, if you know what I mean. 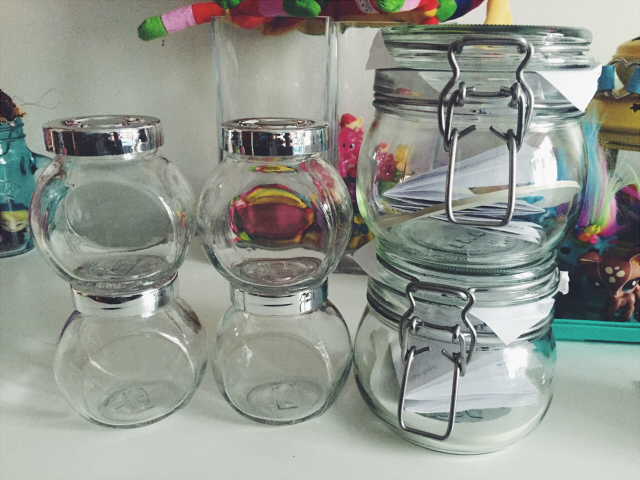 I bought these three jars or vases for £3 each. They were to display plants but I thought they would be awesome to display my blind bag toys. One for my mini Zelfs, one for my Shopkins and lastly one for my My Little Ponies. Being able to display them like this means they take up less space and don't end up away in a cupboard in a box because I don't have room, much like my mini Zelfs were. 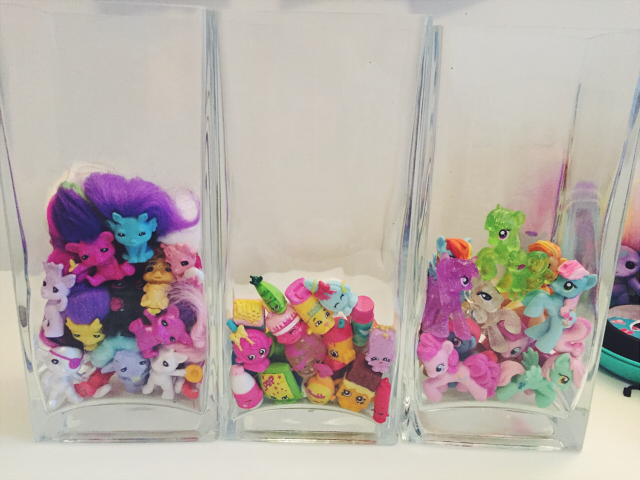 I plan to get another jar soon as I didn't think at the time but I'd like one for my miscellaneous blind bag toys that I pick up but don't actually collect. Although there's only one face cloth in the photo above, that is not all I bought. 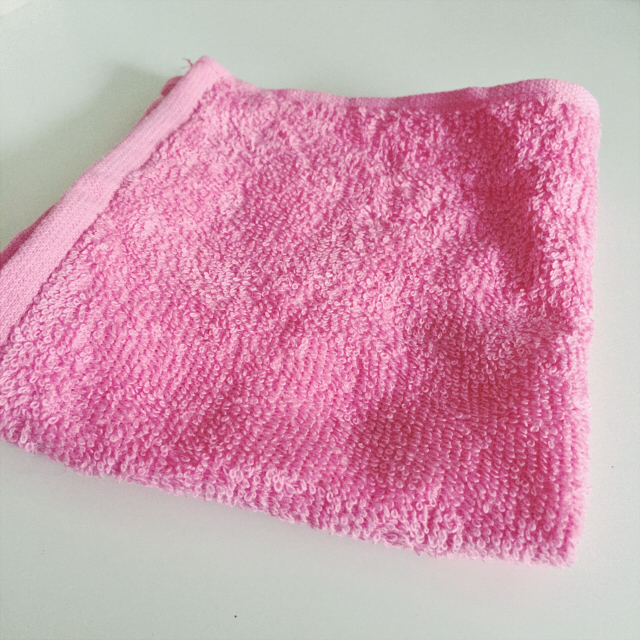 I actually bought a set of face cloths, a hand towel and two regular towels. All pink. Not my usual colour but I felt like something a little more brighter and summary. I had planned to take a photo of all of them together but I'd started using them before I got around to taking the pictures. I also picked up some candles. I love IKEA candles. I can't actually remember how much these ones cost but they're not very much. They smell great too. The green is apple, the white vanilla and the red is strawberry. I've already started burning the strawberry one. So summary! Much like I'd sworn I wouldn't spend too much, I also swore I wouldn't buy any more plants. I've lost a number of my cactus/succulent family over the last few months. For some reason I've been having a rot problem. The latest death was Dolores. One of the first cactuses I got from IKEA. 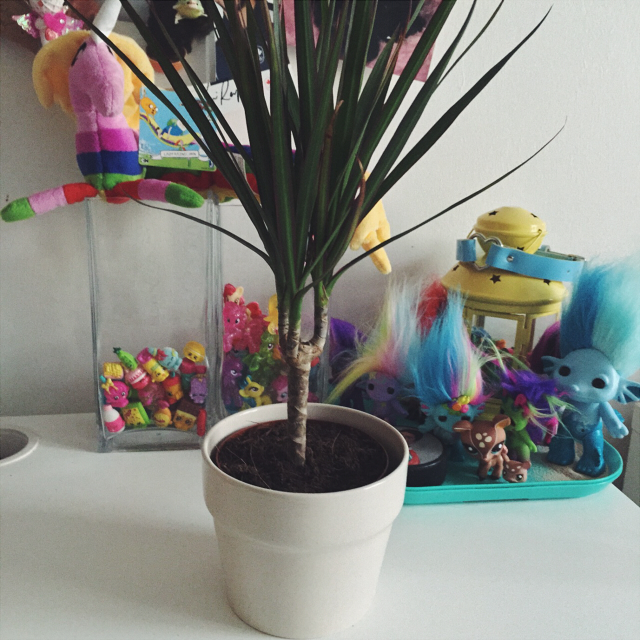 However, I seen this little tree plant and I couldn't resist. It wasn't help by the fact my aunt was telling me she'd bought one last time and it was super easy to look after. So I thought, why not? I mean, I am a few plants down. And watering it won't be as bad as watering the cactuses that left me with little invisible spines in my fingers! I also bought the pot to go with it. I can't remember how much these were either. We had gotten to the warehouse part of the store and were passing the Lack tables when Eva stopped to decide whether she should get one to put her snail tank on as it would be a little more secure than what she has at the moment. Then I had the idea that maybe I should get two to put Rue's cage on. Up until that point Rue's cage had been on the floor and every night someone would have to lift it on to my bed for me to access it. 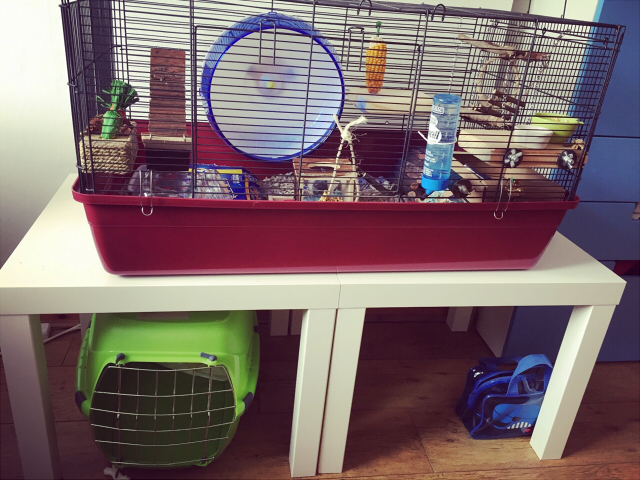 I was a little worried the tables wouldn't be high enough for me to access the cage from my chair and it would be a waste but at £5 each I figured it was worth a go. Eva built them when we got home and I am happy to say they are perfect! I can get Rue in and out of the cage fine and feed and water her etc. Since they've given me a bit of independence I think these are my favourite purchase! So there you have it. My unexpected haul from IKEA. It all came to around £50. A lot more than I had planned but oh well. I'm pretty happy with all I got and I did edit my trolley as I went and did put quite a few things back. That's a start in the right direction, right?